It turned into La Lanterna’s workshop this December! We were busier than Santa’s head elf cooking thousands of dinners and shaking up hundreds of cocktails, so that got us thinking: why can’t our diners do both their shopping and eating at the same time? That’s right, we’ve everything from A-V (that’s aprons to vouchers, by the way) now in the restaurant. 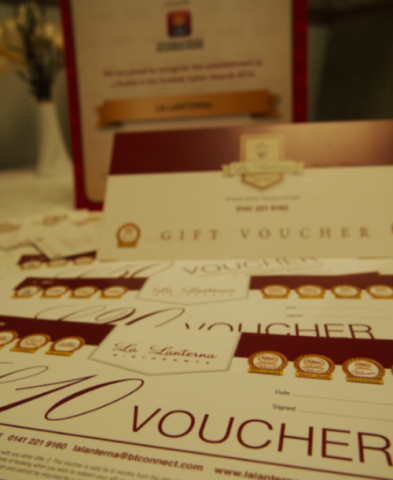 You can treat the Italian food lover in your life to La Lanterna gift vouchers, starting from £20. They come beautifully presented and can be purchased here, to be delivered straight to your door (or even via email), or you can buy them directly from the restaurant. Fingers crossed that your giftee chooses you when it comes round to redeeming those vouchers! What about if you fancy yourself as head chef in your own kitchen, or know someone with a talent for cooking? 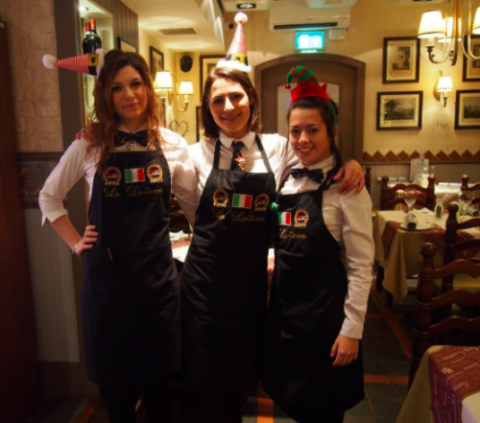 Look the part with specially made La Lanterna aprons. 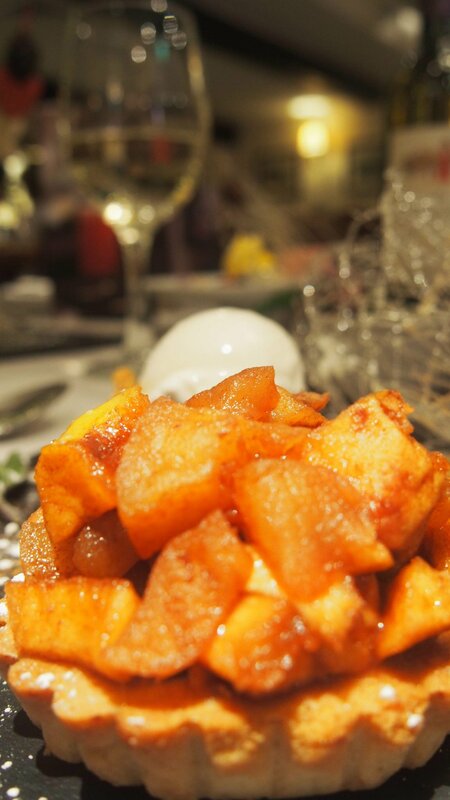 Available exclusively from the restaurant (just pop in and ask us), you can purchase them from £19.50. They’ll be the most stylish item in your kitchen, we can guarantee you. We hope to see many of you wearning this kitchenwear in your own homes very soon! If you have any questions regarding our gift items, please feel free to call us on 0141 221 9160, email us via lalanterna@btconnect.com or send us a message on Facebook.